Oh my gosh! That's fantastic! I don't really fan very many people, but boy would I love to join them and hear what they talk about. Prince Harry and Meghan Markle are reported to be moving into this plush Grade II-listed property - which was once the home of Princess Margaret's lover Group Captain Peter Townsend. 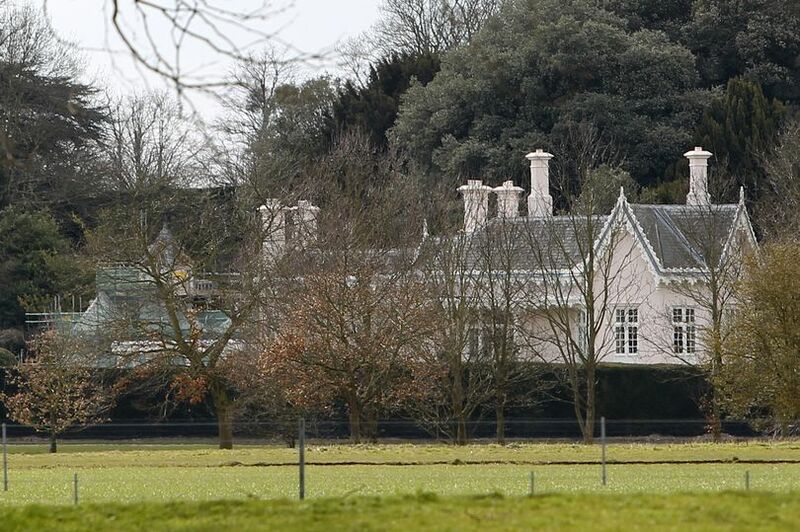 The newlyweds have already been for a viewing and fallen in love with the sprawling manor in Home Park after being offered it as a gift from the Queen, according to a source who told Mail Online. Nestled in the heart of the Crown Estate's private 655-acre royal park, Adelaide Cottage was built in 1831 as a retreat for William IV’s wife Queen Adelaide. The home boasts a master bedroom with gilded dolphins on the coved ceiling and rope ornament from a 19th century yacht, Royal George along with a Graeco-Egyptian fireplace. Nice gift indeed! Are they going to be living there? I though there were going to be staying at Kazington palace next door to Kate and William? for the dog, and another heart for vacationing with the Clooney's! hen Meghan Markle crossed the pond to join Prince Harry for her happily ever after, she had to leave someone very special behind: one of her rescue dogs, Bogart, who was too old to make the journey and stayed in Toronto with friends. The newlyweds have settled into their new life with the former actress's other canine companion, Guy, who may well be showing the ropes to the latest member of their brood - a new Labrador dog! According to the Daily Mail, the couple's Nottingham Cottage is now home to a family of four. "The dog is already happily ensconced at their cottage," a source revealed. "Like the Sussexes, the dog will divide its time between the palace and their country home in the Cotswolds." Their new addition comes around the time that Prince Harry and Meghan marked three months as husband and wife with a lavish holiday in Lake Como with A-list couple George and Amal Clooney. @GuardianAngel Slightly off topic, but George is coming to the Toronto Film Festival in September and my brothers girlfriend works for Nespresso in Lausanne. She is arranging the event and gets to have dinner with George and Amal and is bringing my brother as her date. I told him I better get pictures! That's awesome!! I would be so star struck! My nephew worked at the TIFF with a catering company a couple of years ago. What an experience! @GuardianAngel wrote: for the dog, and another heart for vacationing with the Clooney's! I wonder if this dog was Harry's idea. Poor Bryan still trying to get another dog with no success, Yet. Meghan had two dogs. She had to leave one behind in Toronto because he was too old to travel. A friend took him. Maybe she just wanted another dog to keep Guy company. PH grew up with dogs since his grandmother has always had dogs. I would think this was something they both wanted. Can't wait for pictures! Little brother showing big brother how it's done. Nice pics! I preferred Kate's outfit but we never saw Meghan's dress.